The Great Fire of 1666 was one of the greatest catastrophes to befall London in its long history. While its impact on London and its built environment has been studied and documented, its impact on Londoners has been overlooked. 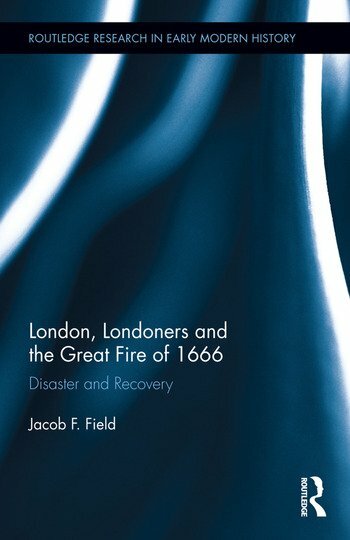 This book makes full and systematic use of the wealth of manuscript sources that illustrate social, economic and cultural change in seventeenth-century London to examine the impact of the Fire in terms of how individuals and communities reacted and responded to it, and to put the response to the Fire in the context of existing trends in early modern England. The book also explores the broader effects of the Fire in the rest of the country, as well as how the Great Fire continued to be an important polemical tool into the eighteenth century. Jacob F. Field has taught history at Massey University and the University of Waikato, New Zealand.